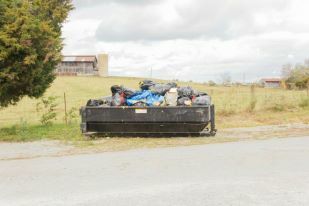 Garrard County residents are encouraged to take advantage of Free Dump Days at the Garrard County Convenience Center located on Hanging Fork Road on March 28 and 29 from 8 am to 4 pm. Household junk, furniture, clothing, appliances, and other miscellaneous Spring-cleaning type items will be accepted for FREE on these days. Regular kitchen garbage will be $1 per bag, tires $3 each, and construction/demolition debris $38 per ton. For questions, please call Solid Waste Coordinator Chris Thomason at 859-339-3233.